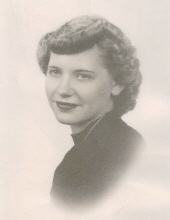 Joyce A. Scheele, 85, of Hamler, Ohio passed away peacefully on Monday, April 1, 2019 at Bowling Green Care Center, surrounded by her loving family. She was born on August 9, 1933 to Fredrick and Loretta (Garbers) Kestner of Hamler. She was a graduate of Hamler High School and had the honor of being May Queen in 1951. She married Delbert Scheele who preceded her in death in 1955 and then married Melvin “Pete” Scheele who also preceded her in death in 2008. She worked at the Hamler tomato canning factory ; Hamler Dairy Bar; helped with the tomato harvest at Blue’s farm for a couple of years; she then worked for Hope School as a bus aide for many years. She also worked at the Hamler Diner. Joyce was a member of St. Stephen Lutheran Church of Hamler. She was also a lifetime member of the Legion Auxiliary, Post 262 and served as Treasurer for 25 years. She was an avid Bingo and Yahtzee player. When she was not playing Bingo, she liked to listen to the local high school football and basketball games on the radio. She was one of the few in Hamler who rooted for the University of Michigan team. She also liked watching the Cleveland Indians. She enjoyed singing church hymns loudly and could be heard all over the Bowling Green Care Center. She was a very thoughtful and caring person who always looked out for the fellow residents at the center. The one thing that made her very proud was her grandchildren. She loved to watch them and found great entertainment in them. Joyce will be remembered for her silly, loving and prankster personality. She will be dearly missed by all who knew her. Joyce is survived by her children, Debra (Duane) Robinson of Hamler, Jon (Terry) Scheele of Hamler, Dawn (Deb) Scheele of Bowling Green and Jeff (Roberto) Scheele of Bowling Green. She is also survived by her grandchildren, Alex, Brayden, Brynne and Macyn. She is preceded in death by her parents, Fredrick and Loretta (Garbers) Kestner, husbands, Delbert Scheele and Melvin “Pete” Scheele. She is also preceded in death by her son, Craig Scheele, granddaughter, Kristen Robinson and her brother, Wilbert “Wib” Kestner. Visitation for Joyce will take place Friday, April 5, 2019 from 2pm to 8pm at Snyder-Hoening Funeral Home (209 N. Wilhem St.) of Holgate. Funeral Services will follow on Saturday, April 6, 2019 at the funeral home at 11 with visitation one hour prior to the service. Burial will take place at Marion Township Cemetery of Hamler. Memorials may be made in Joyce’s memory to the Bowling Green Care Center-Activities Fund or to the Hamler Library. The family would like to thank the staffs of Bowling Green Care Center and Bowling Green Manor for the excellent and loving care they provided for “Joycey” over the past six and a half years. They would especially like to thank Becky, Christine, Tony, Dawn, Julie, Sandy and Dr. Wojo. To send flowers or a remembrance gift to the family of Joyce A. Scheele, please visit our Tribute Store. With visitation one hour prior to the service. "Email Address" would like to share the life celebration of Joyce A. Scheele. Click on the "link" to go to share a favorite memory or leave a condolence message for the family.